A remodel project, before (top) and after (bottom). 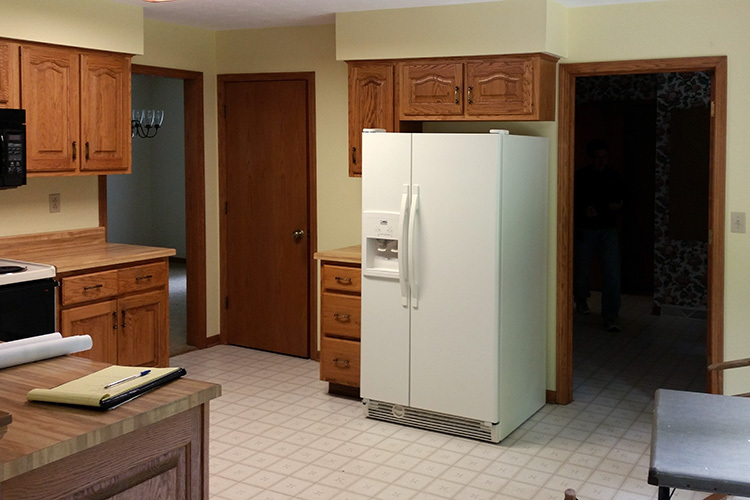 Gatliff Custom Builders is pleased to perform all aspects of home remodeling and additions. Whether adding an entire second floor or simply opening up an existing kitchen and living room, Randy can seamlessly blend the original architecture of your home while showcasing the beautiful modifications that you need. These changes will be able to accommodate a growing family, provide a residence for aging in-laws, or purely maximize current living space. Would you like to add a room to your existing home? Renovate an existing room? Finish a basement or bonus room? Add a screened porch or build a new larger deck? Or even completely renovate your entire home? Imagine having a beautiful new more energy-efficient home without moving. Gatliff Custom Builders can turn your visions for an updated home into a reality. 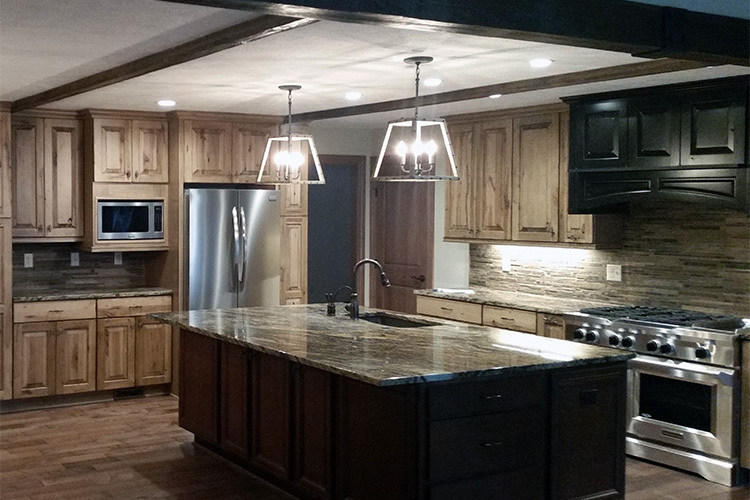 When you begin the home-remodeling or addition process, Gatliff Custom Builders engages you in the design and function of your home, providing alternate ideas and options along the way. You have the comfort of knowing precisely what is going on through the project. Randy begins the process by inspecting the current condition of your home. Using a thorough checklist, he assesses the HVAC, electrical and plumbing systems, as well as the interior and exterior facades. The result is a home with greater comfort and newfound workability. Randy selects the most dependable building products and assembles an accomplished team of talented subcontractors. The efficiency, reliability and attention to detail practiced by the building team eliminates the uncertainty and apprehension typically associated with renovations. Team up with Gatliff Custom Builders for your ultimate home remodeling or home addition experience.